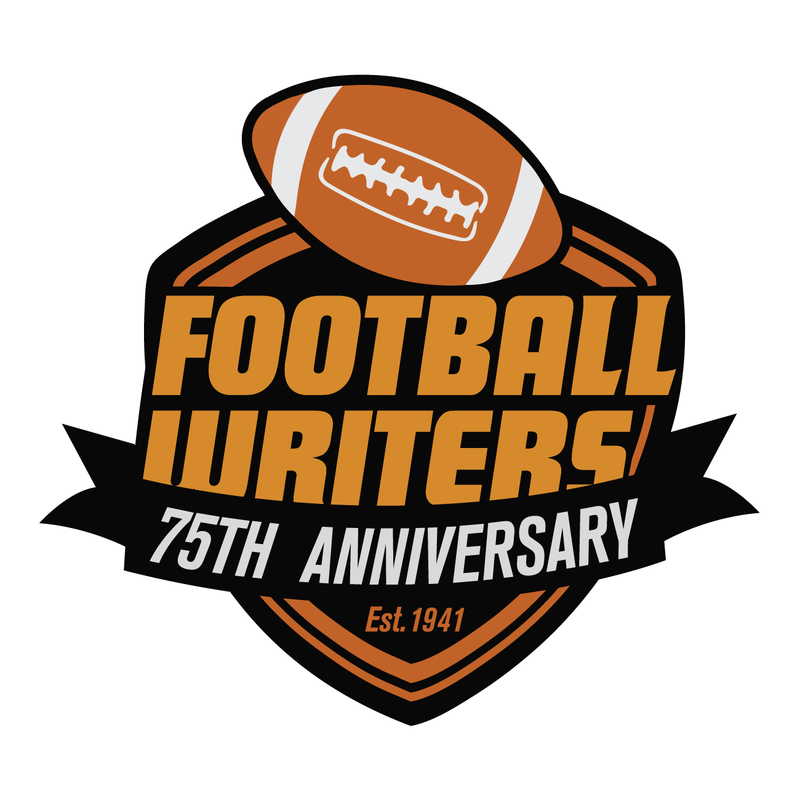 The following is the 25th installment of the Pillars of the FWAA series. Volney Meece was the 1992 winner of the Bert McGrane Award. Thanks to FWAA member Gene Duffey for writing and researching this sketch. 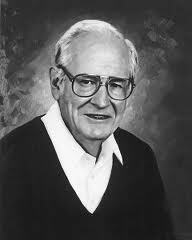 Maybe it was appropriate that Volney Meece died of a heart attack at the 1995 CoSIDA Convention during a function at a casino in Black Hawk, Colorado. He and his wife, Lou, were eating a spaghetti dinner when he told her that he wasn’t feeling well. He was surrounded by SIDs and other support personnel from colleges and universities across the country. Volney Meece, 1992 winner of the Bert McGrane Award. Meece, who worked for 41 years at the Oklahoma City Times and Oklahoman, served as president of the FWAA in 1971 and then executive director of the organization for 22 years starting in 1973. “He spent an enormous amount of time doing that,” said the late Bob Hersom, a colleague at the newspaper. Meece attended Tonkawa High School, Northern Oklahoma Junior College and the University of Oklahoma. He served with the U.S. Army Air Corps during World War II and began at the Oklahoman on Feb. 6, 1950, writing church news and obituaries. He moved over to the sports department in the mid-1950s. Hersom and Meece also covered many Oklahoma football games together. Most readers couldn’t tell whether Meece went to Oklahoma or rival Oklahoma State. “The people at OSU liked him as much as the people at OU,” said Hersom. Meece made a huge impact on the people in Norman. Former Sooners coach Barry Switzer, then coach of the Dallas Cowboys, drove to Oklahoma City for Meece’s memorial service. Howard Schnellenberger, another ex-Oklahoma coach, also attended along with OU quarterback Jack Mildren, Heisman Trophy winner Steve Owens and legendary Oklahoma City basketball coach Abe Lemons. He wrote his columns without ego. Meece retired from the Oklahoman March 1, 1991. He continued his work for the FWAA until the day he passed away. In July 1994 Meece wrote a report about the status of the FWAA at the suggestion of Bill Lumpkin of the Birmingham Post-Herald. “Lumpkin … alertly noticed what I see daily in my mirror: I love awful,” wrote Meece. The FWAA set up the Volney Meece Scholarship fund in 1997. The group presents $1,000 annually to the son or daughter of an FWAA member for up to four years of college.